This workshop will establish a profoundly holistic context for contemporary healing professions by investigating the linked phenomena of ecological and social unravelling and how they worsen or heal in relation to our health-care systems and choices. Through a focus on the interconnections between ecosystems, social determinants, cultural contexts and the individual experience of health, we will explore opportunities for community-level action with a view towards broad, systemic change. Participants will leave informed, inspired and equipped with practical resources for advancing their own initiatives or creating new ones together. climate change and the future of health care. Our afternoon session will focus on reimagining health care as healing not only the individual but also the ecological community. Through case studies and shared participant experiences we will explore systems-based approaches that sustain and restore people by sustaining and restoring places. community engagement and dialogue for healing. Our final session will explore (re)emerging models of health care that aspire to address and heal the wounds in our collective social body. In discussions and group sessions, participants will have a chance to share their current initiatives or dreams for the future in order to seek support or opportunities for collaboration with others. 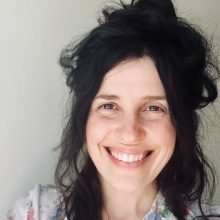 Jessica Marais is an ethnobotanist, second-generation herbalist and writer living in the Sutton Mountains of Quebec’s Eastern Townships, the traditional territory of the Abenaki Nation. She holds a BA in English and Environmental Studies from the University of Victoria, and an MSc in Earth Science from Schumacher College, University of Plymouth. Fascinated by relationships of reciprocity between people and plants, she has focused much of her academic and personal research on the practice of honourable wild-harvesting and its restorative/therapeutic value for both humans and landscapes. In addition to offering workshops on nature connection, wild-harvesting and organic agriculture, she works as a freelance editor for the World Health Organization Regional Office for Europe. Visit her at www.jessmarais.com.